When Canadian astronaut David Saint-Jacques blasted into space Monday on his way to the International Space Station, he took with him some symbolic Mi'kmaw items. Tucked away in his gear was an eagle feather and a miniature, handmade basket created out of wood from a black ash tree. "The one that is travelling in space with him now is a tiny little basket the size of a loonie," said basketmaker Shanna Francis of Eskasoni First Nation in Cape Breton. "I made it a few years ago and it has a new home now. It's in space." Francis joined many other Indigenous people inside a theatre room at the Discovery Centre in Halifax to watch the rocket blast off from Kazakhstan. "It makes me believe that anything is possible," said Francis. "I hope it might in some way open new doors for the youth in our community." Many others took in the launch at the Membertou Trade and Convention Centre in Cape Breton. 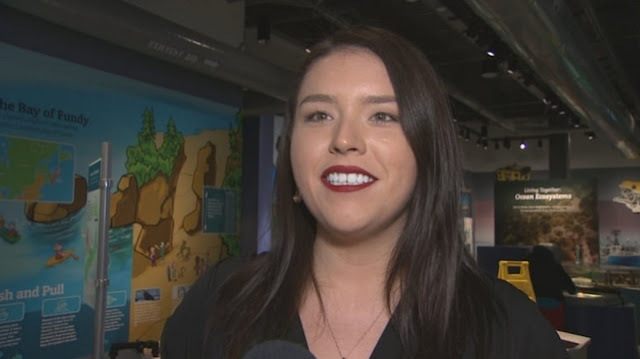 "We try to light the embers of creativity and imaginations for these kids," said Christopher Googoo, chief operating officer of Ulnooweg's Digital Mi'kmaq program, which aims to bridge the digital divide faced by Indigenous youth. "We'd like to see them pursue being an astronaut because that pursuit will get them into things like mathematics and engineering." This past year, the Canadian Space Agency and the Digital Mi'kmaq program collaborated on a robotics program and the partnership led to the basket and feather being given to Saint-Jacques. In a subsequent interview with CBC Radio's Mainstreet, Googoo said Mi'kmaq people "hold the feather in very high esteem." "In our legends and even in our ceremonies, we always see eagles flying and it's a symbol of honour, a symbol of respect," Googoo said. "For a kid to imagine an eagle flying over and above the clouds literally, it's something we wanted to grasp on right away." Googoo said the basket "holds, really, the respect of our heritage as Mi'kmaw people." In addition to the items, Googoo said they adopted a Mi'kmaw name for Saint-Jacques: Tapit, which means David. "We want to expand this into telling and challenging kids to tell stories about what a journey would look like with Tapit​," he said. Shanna Francis made a small basket for astronaut David Saint-Jacques. 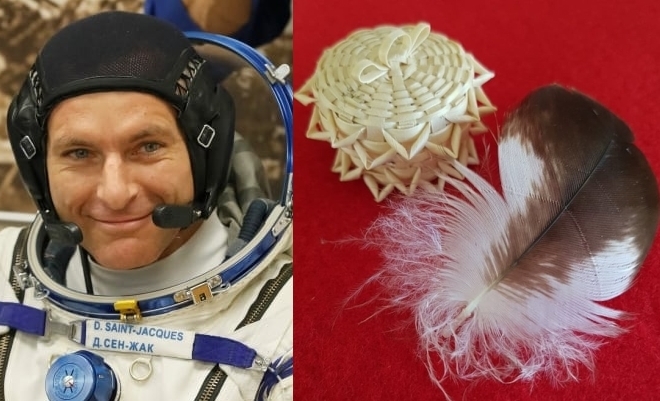 Responses to "An eagle feather and Mi'kmaw items will travel in space with Canadian astronaut"